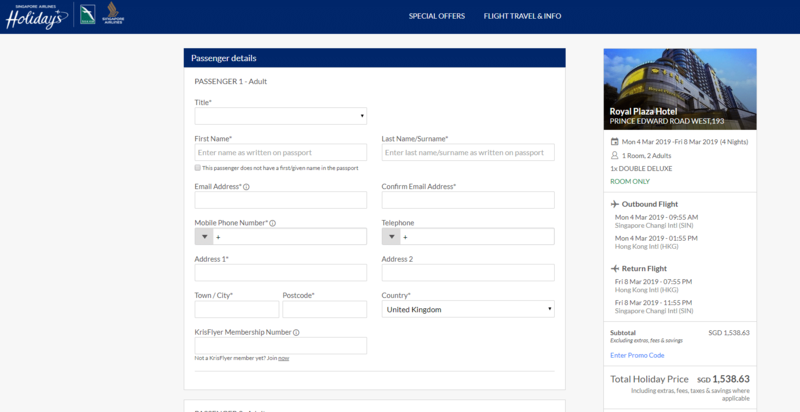 How does Singapore Airlines Holidays work and how does it compare to other OTAs? Singapore Airlines last week sent out an email blast announcing the launch of “Singapore Airlines Holidays” which is basically an Online Travel Agency (OTA) that partners exclusively with Singapore Airlines for flights. By using Singapore Airlines Holidays, you will be able to book your Singapore Airlines flights and hotels as a package via the Singapore Airlines Holidays website. Singapore Airlines has outsourced the running of Singapore Airlines Holidays to “HBG Holidays Singapore Pte. Ltd” and all queries and amendments for packages booked on Singapore Airlines Holidays must be done through the travel agency. When you book your flight and hotel package with Singapore Airlines Holidays, you will earn 2 KrisFlyer miles per USD1 spent on the price paid for the package. However, this will only apply to the first passenger in the booking who is a KrisFlyer member. Other passengers in the same booking will not be entitled to the 2 KrisFlyer miles per USD1 spent but will earn miles for the flights flown. You can find the FAQs for Singapore Airlines Holidays here. 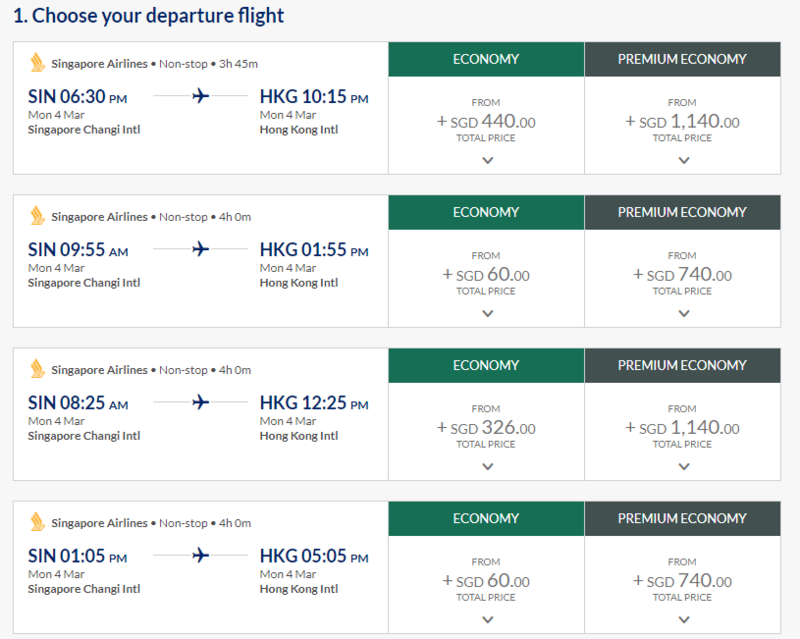 With its launch, Singapore Airlines Holidays is having an offer where you can receive S$50 off a minimum spend of S$1,000 or S$100 off a minimum spend of S$2,000 for all packages booked by 31 March 2019. Bookings made using the promotional code must be from 26 January 2019 until 30 June 2019. How does Singapore Airlines Holidays work? Same with any OTA, you first search for your destination at the home page and after selecting your dates and the number of guests, it will show you all the possible packages available for booking. Once the hotels have loaded, you are able to filter them by their ‘star’ ratings as well as the price per person. Note that the price displayed reflects the total amount you will be paying per person for the entire duration of the holiday inclusive of flights and hotels. When you select your preferred hotel, you will be given the option to customize your flights and your desired room types which might come with an additional cost. Once you have chosen your preferred flights and rooms, you will be directed to the check-out page to fill up the passenger details prior to making payment. 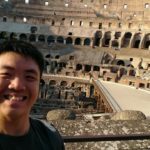 Is it cheaper to book a package through Singapore Airlines Holidays? 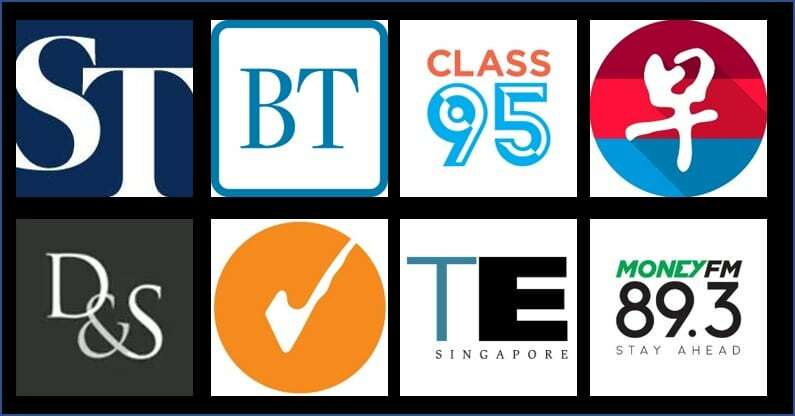 The question that will probably be on everyone’s mind is that whether it will be cheaper to book a flight + hotel package through Singapore Airlines Holidays or through other OTAs such as Expedia. 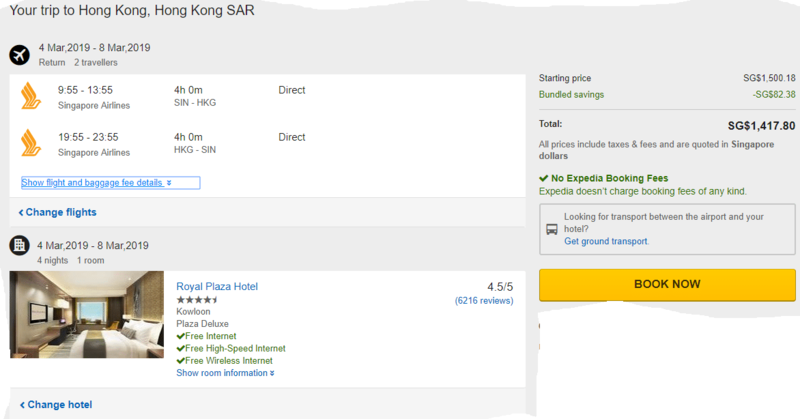 Taking a look at packages in Hong Kong, a flight and hotel package on Singapore Airlines Holidays will cost you S$1538.63 for 2 persons for a 4-night stay without breakfast at the Royal Plaza Hotel. The selected flights are under the Economy Lite fare bucket which means you will be earning 50% of the total mileage flown but you will not be able to pre-select your seats for free until online check-in opens. The room selected is a base Deluxe Room with no breakfast. 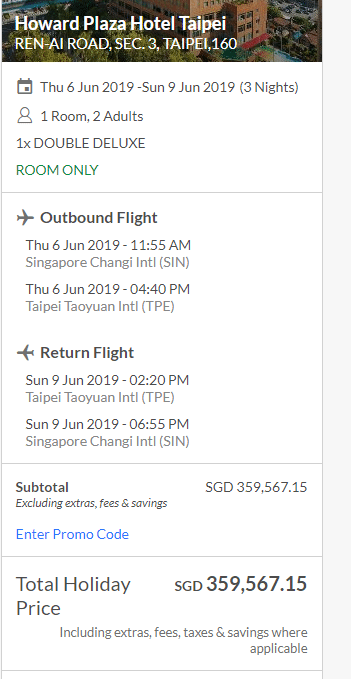 Interestingly, booking through Expedia saves you over S$100 compared to booking directly with Singapore Airlines Holidays. Even after factoring in the S$50 discount code which Singapore Airlines Holidays is offering, you will still come out ahead by booking with Expedia. Let’s take a look at another city, Taipei. A flight and hotel package for 2 persons for 3-nights at The Landis Taipei costs S$1929.11 for a base Double Superior room. Again, flights are booked under the Economy Lite fare class. Of course, the above examples might not be representative of the other hotel combinations and cities that are available through Singapore Airlines Holidays and other OTAs so it’s best to do your own research before making your booking. My guess is that the additional cost is to factor in the 2 KrisFlyer miles per USD1 spent that is being awarded. I’m not entirely sure what took them this long to launch this platform for users to perform their flights and hotel bookings as a package but it sure is a nice move. 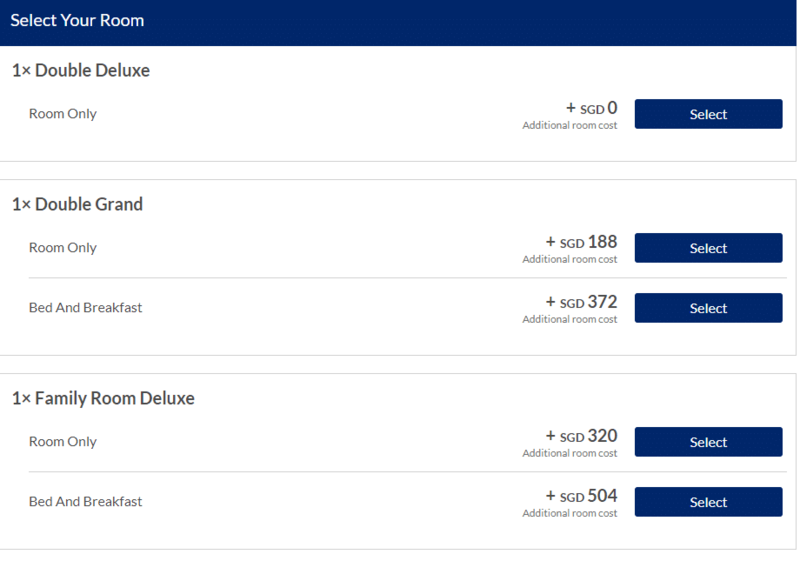 Although it is a little worrying that other OTAs are having better pricing than Singapore Airlines Holidays based on what I have been looking at so far so they might have to up their game with more promo codes to catch more business. The Singapore Airlines Holidays website is still quite buggy and based on how bad the Singapore Airlines website and mobile application is, I don’t expect these bugs to be fixed anytime soon. Meanwhile, anyone wants to splurge on a S$360,000 holiday for 2 in Taipei? Pathetic. Move on people. Nothing to see here. SQ seems to be in a “let’s try and see what works” mode in recent years…. the horrendous auto inclusion of insurance, charging a fee for credit card, the extremely pointless Krispay, now this OTA whose prices are far from competitive. On a side note, has “spontaneous escapes” been discontinued? Isn’t it formerly known as Tradewinds? Previous Entry Does anyone remember the Young Explorer Club, Singapore Airlines’ FFP for kids?